Creating shareable content is the goal for any social media campaign, but consistently generating a reaction from your audience can be a real challenge. 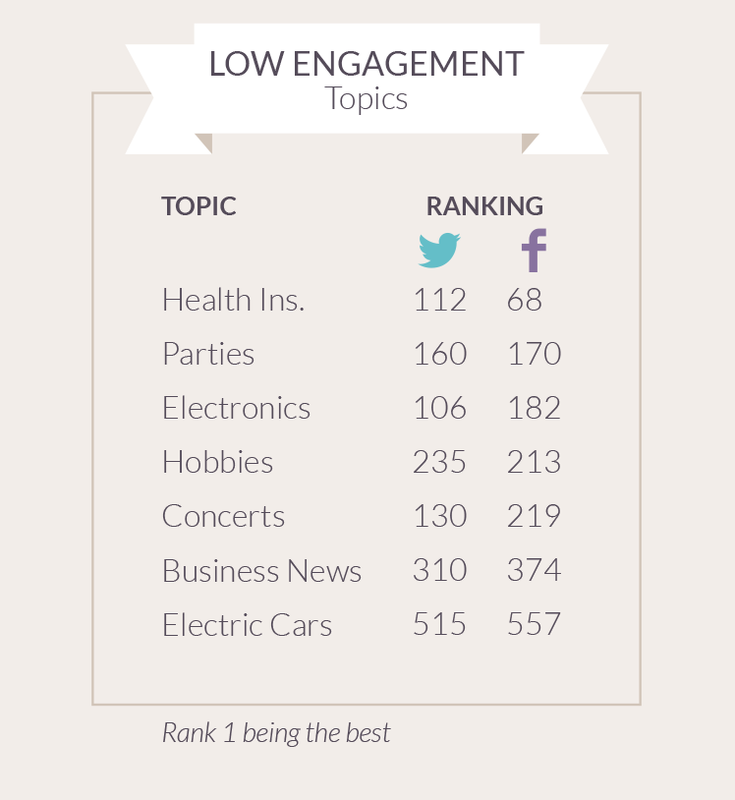 As the charts show, engagement differs significantly across the two networks (as expected). 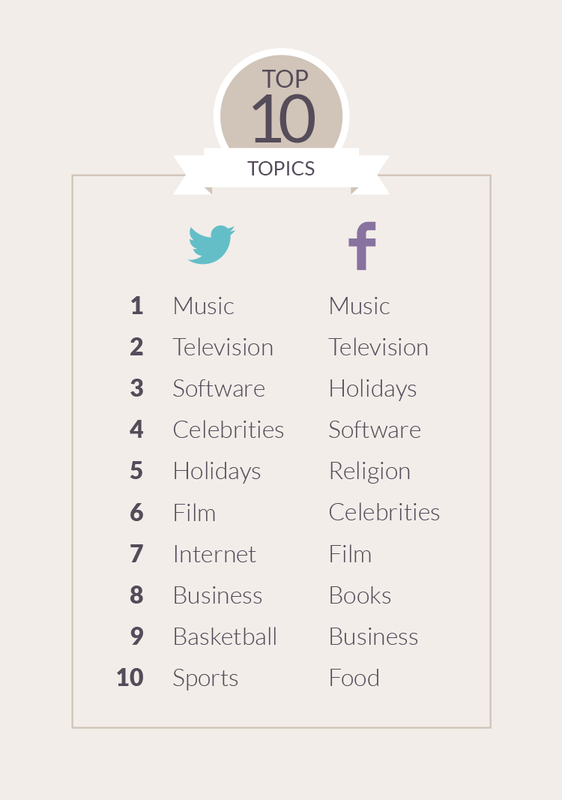 Facebook is clearly the better network for discussing politics and lifestyle, while Twitter is better suited to Entertainment and Technology. 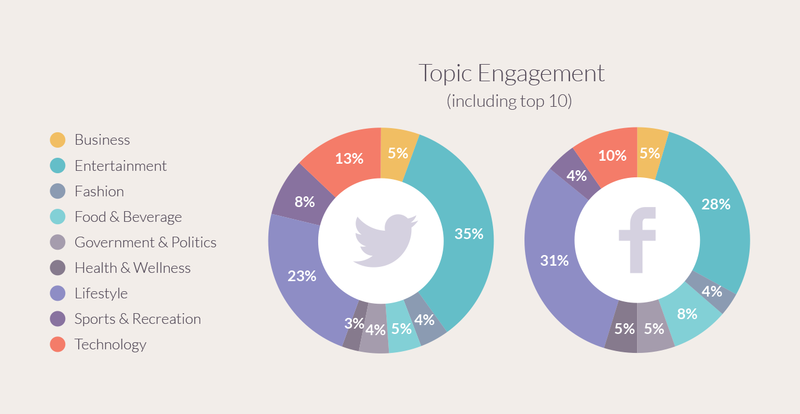 The data also demonstrated that while customer service complaints were higher on Facebook (197) than on Twitter (89), engagement and problem solving is significantly greater on Twitter – clearly demonstrating that businesses need to utilise the social platform as a tool for appeasing and maintaining customers. Winning over potential customers by sharing the latest business news is unlikely to be a winning tactic, with business news ranking extremely low on both networks. While there is no ‘one-sized-fits-all’ cure for driving engagement, Klout’s research clearly shows that businesses need to take pay greater attention to their customers and their customer’s interests to secure new business and maintain their reputation through social media.